POSC 440: Public Administration introduces the theory and practice of public administration defined as the execution of public laws, policies, court decisions and regulations that form the core of our constitutional form of government. 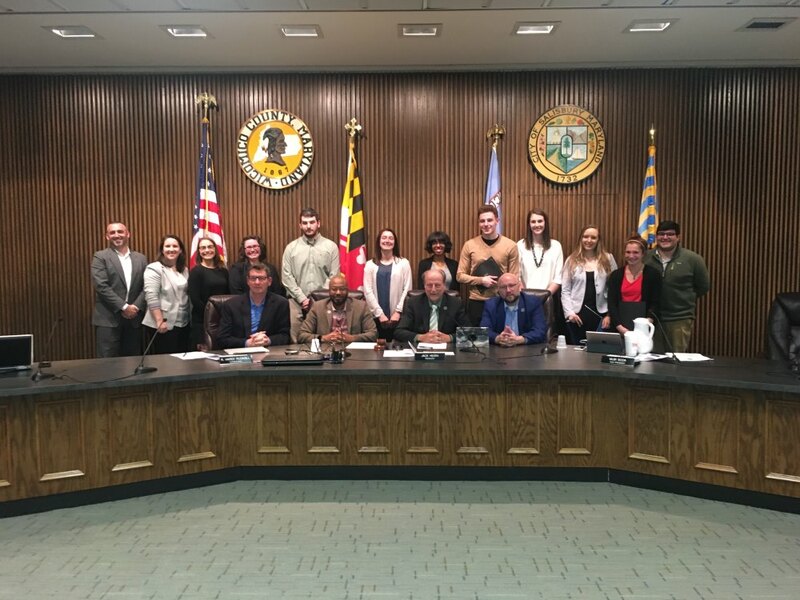 To provide a hands-on experience, students developed proposals aimed at increasing the recycling access, availability, and participation in the City of Salisbury. Political Science 440: Public Administration contains a civic engagement component. In doing so, this course supports the University’s mission statement, which states in part, “Our highest purpose is to empower our students with the knowledge, skills, and core values that contribute to active citizenship, gainful employment, and life-long learning in a democratic society and interdependent world.” In accordance with these goals, you will participate in a civic engagement activity related to a social issue. In doing so, you will interact with community members outside of the classroom and share the outcomes of their efforts beyond the classroom setting. Students presented their final policy briefs to the Salisbury City Council on December 4, 2017. Many elements of their policy proposals are now in place. Students partnered with graphic designer Kacey Martin who created the final “look” of the branding campaign. Today their proposed slogan “Recycle Right” and Kacey Martin’s logo appears on City curbside recycling bins. Additionally, a “Recycle Right” magnet (content by SU students, graphics by Kacey Martin), is now available for free in the Salisbury Downtown Visitor Center.